Becoming windy and wet enough in places to warrant its own thread. 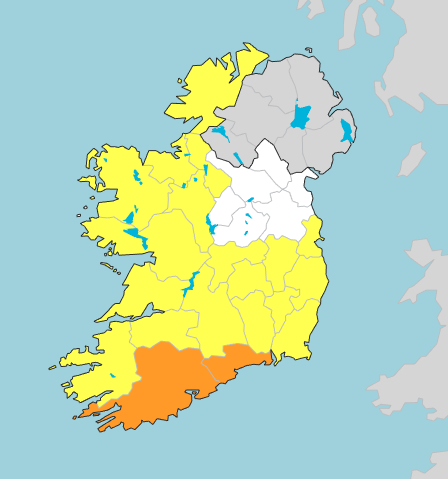 The fine spell coming to an abrupt halt for now mainly for those in the Western half of the country. 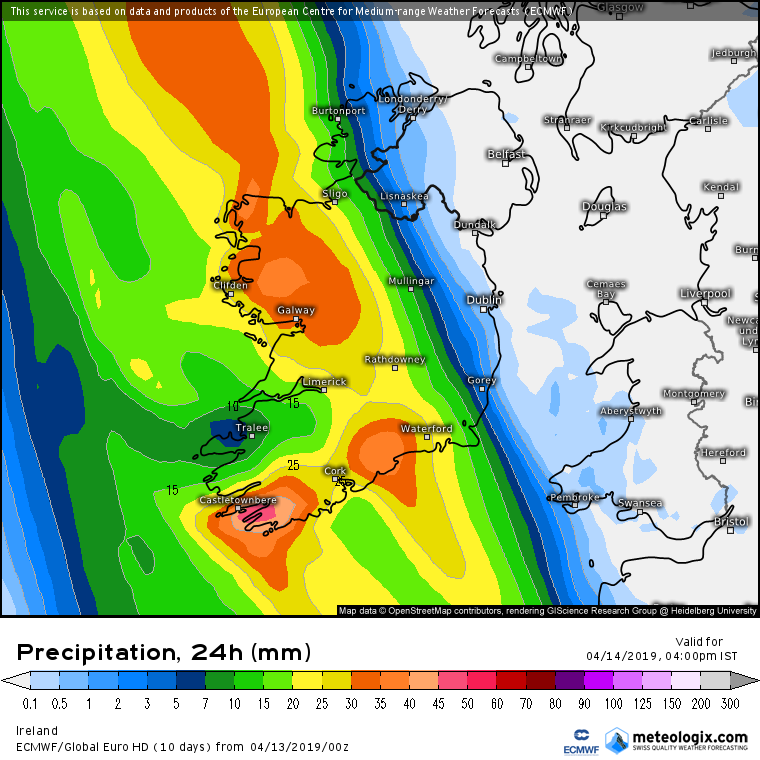 Worth keeping an eye on rainfall totals especially as heavy rain expected Monday again especially in the SW and S.
Last edited by Meteorite58; 14-04-2019 at 11:12. 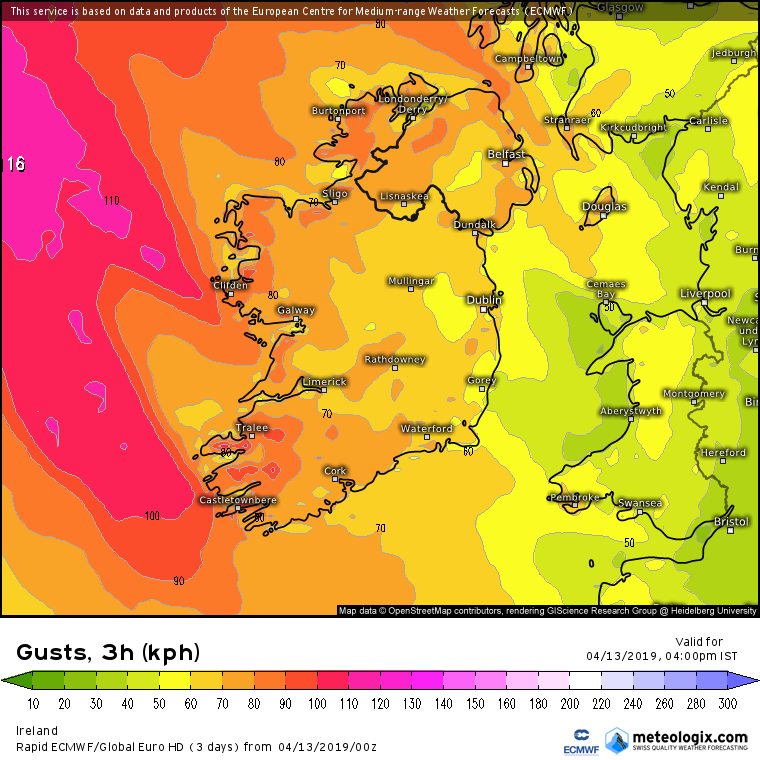 Becoming quite blustery tomorrow across the country especially in coastal counties, will feel it all the more as coming from a not so usual steady SE'ly direction. 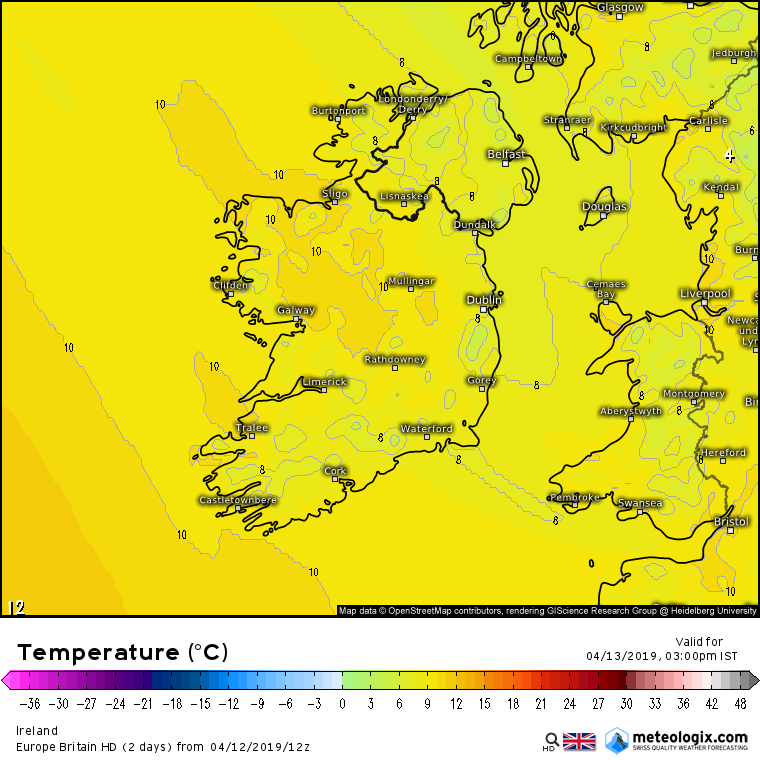 Feeling cold in the wind especially in onshore coastal counties. 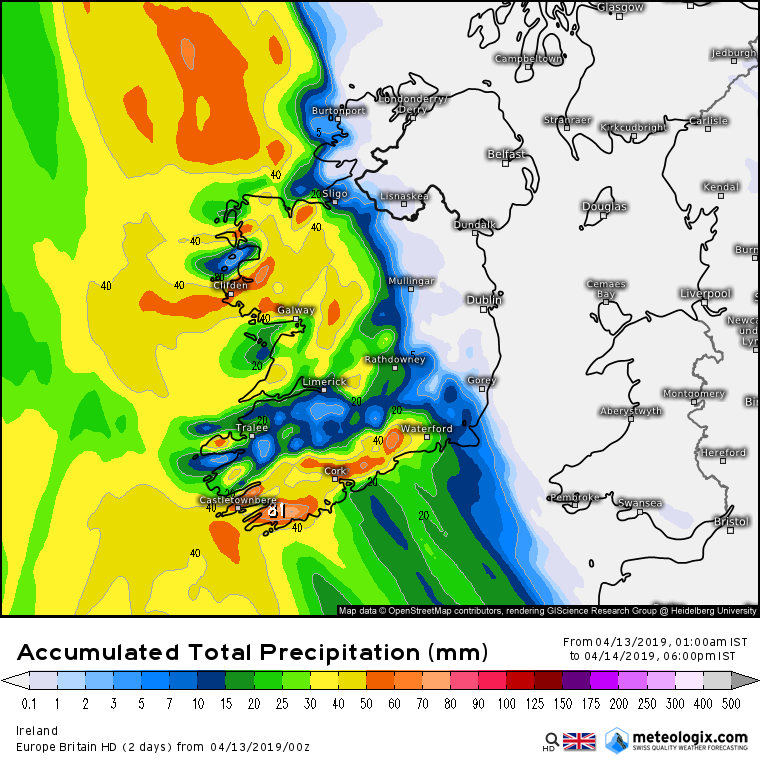 Including the projected rainfall totals up until early tues to show the potential for high rainfall totals along Kerry, Cork and Waterford and the risk of flooding perhaps. 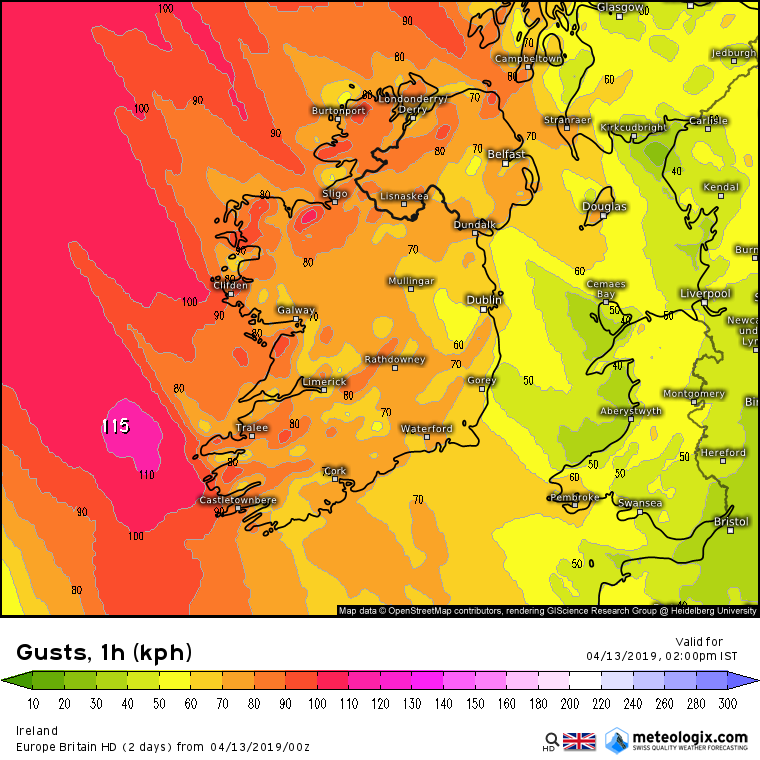 The WRF-NMM , usually conservative enough showing fairly strong sustained SE'ly winds for Kerry tomorrow. People would want to be careful on mountains. If this was happening in the midst of winter could we be talking about snow from these systems? This crept in out here as I was sleeping and thus did not nail things down... Y'day was breezy but now.. stuff flying all over the path and garden. was thinking as i watered the vast array of seedlings y'day afternoon that we needed rain, but seems we will again get excess. 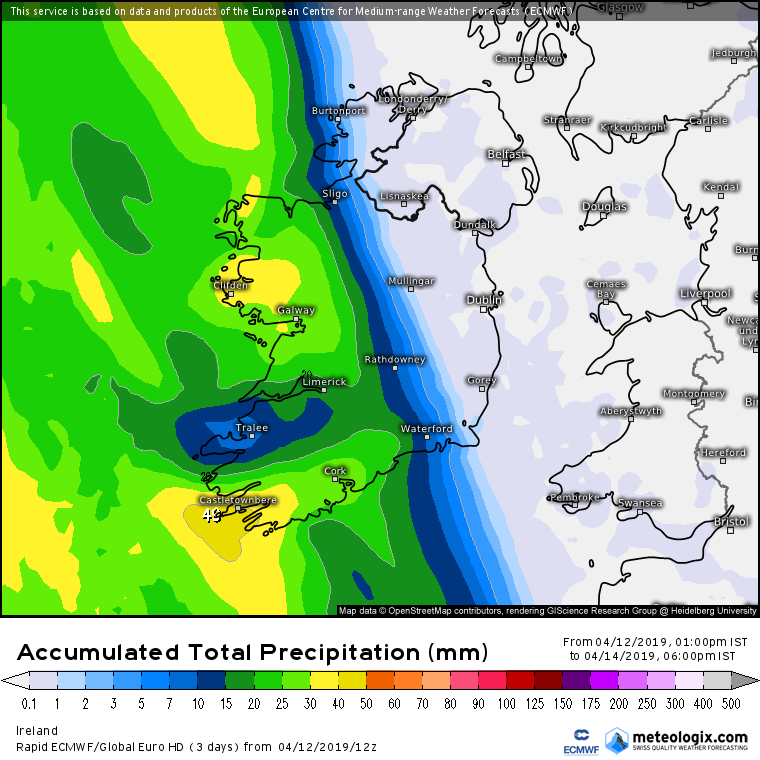 Models in fair agreement of the rainfall potential up until 18.00 Sunday. Showing heavier rain on latest runs for the W.
Similar wind charts to the previous runs for today. In general gusting 70 to 80 km/h overland with up to around 90 km/h near coasts and high ground I would think. I've been preparing to raise my new 14ft x 25ft massively reinforced poly tunnel this week. Luckily I saw this coming, thanks to the Boards experts, so I have only completed the groundwork. Just gone outside to put the tools away and we have had a tree come down in that gust 30 mins ago, must be the direction. Anyway its currently just resting on the power lines, its really strange because its really not that bad out, just a gust from a rare direction. I have a brand new chainsaw..